Budgeting for the Ring: First, its important to note everyone’s budget is different, so you need to set one that you are comfortable with. It may be helpful to ring shop well in advance of your ideal proposal date so you have time to save up. Also, keep in mind that most jewelers can work out a payment plan for you to pay off the ring over the course of several months. Beautiful rings come in all price ranges. Today while at Stowe's Jewelers we looked at rings that ranged from $1,500 up to $40,000.00. Cut: We often think cut refers to round, oval, pear, cushion, but the cut of a diamond is really about how well a diamonds facets interact with light, aka its sparkle. Even if a diamond has a perfect clarity and color it can still apear dull if the cut is bad. Clarity: The clarity of the diamond refers to its inclusions (blemishes) on the inside or outside of the diamond. The purer the diamond the more the value. Color: The color evaluation of most diamonds is based on the absence of color. A perfect diamond has no hue, like a drop of water. The clearer the diamond the higher the value. Carat: Diamond carat weight is the measurement of how much a diamond weighs. The higher the carat, the higher the price. Oval: Below the ring in the center of the display is an oval cut center stone. It is 2.71 ct accented with .61ct diamonds and .55ct of sapphires in a platinum setting. Cushion Cut: The ring on the top left is .74 cushion cut diamond accented with .50ct of diamonds in a platinum setting. Round: This is probably the most popular shape of all three. The top right corner is a 1.51ct round diamond accented with .45ct diamonds in the platinum setting. Three of the more popular cuts, round, cushion and oval. Antique rings are usually easy to identify based on their ornate feel and ‘different’ settings. This one pictured below is a 14K Yellow Gold Setting and .68 ct diamonds. Morganite is a beautiful stone that will help those working within a tighter budget. This ring pictured below is 1.03 ct., .28 ct worth of diamonds accents and a 14k Rose Gold Setting. Rose Gold is also a very popular setting for 2018. Halo rings became very popular about five years ago and still remain a top seller. The halo ring below features 1.0 ct worth of diamonds in a 14kt white gold setting. Colored stones are a big trend right now. We have seen pink, blue and yellow all make for beautiful and unique engagement rings. One of the most popular colored diamonds, and one of the most expensive, is the canary diamond. This ring features a 1.02ct canary diamond, accented by .46cts in a platinum band. You can never go wrong with a traditional ring like the one featured below. This 4 prong ring features a 1ct diamond with a white gold setting. Stowe's also loves working with clients to design custom rings using all new diamonds and settings or turning family heirlooms into new one of a kind rings. The picture below is a custom ring designed and created at Stowe's Jewelers. It features at 2ct diamond with .25 carat baguettes flanking either side set in a platinum setting. Horice and Joyce Stowe opened Stowe’s Jewelers in 1959. Fifty-nine years later it continues to thrive under the ownership of their daughters Beth Fugard and Peggy Wiggins. Stowes specializes in fine jewelry with a wide range of prices, custom jewelry design, fine china, crystal, silver and many other serving pieces. We hope everyone has a happy Valentines Day and best of luck to all the guys out there proposing to their favorite girls! We hope to hear from you in the coming day so we can help you plan your dream wedding. 1) One of Peggys biggest recommendations is to come into Stowe's and taking a look around, snap a few photos, and go home and think about it. This process doesn't need to be stressful, so she said its perfectly fine to take your time and think about the patterns, price ranges and various pieces you will need. 2) To create a finished look Peggy always recommends putting a charger on the registry. A solid color, like silver or gold, is very versatile and will work with most every day, formal, and holiday china patterns. 3) If you want to add some pizzaz or interest to a traditional setting pick a fun salad plate. It can add a little dimension and color to the setting without being so overwhelming. 4) A popular trend here in the South is monogramming your china. You can monogram your salad plate in the center, or even your dinner plate on the outer edge. This is a neat way to make a traditional and simple setting a little more fun and custom. Below you will see a monogrammed bread and butter plate and a unique salad plate paired with a more traditional dinner plate and charger. 5) Be sure to check out their every day china. These are the plates you will use for taco Tuesday, spaghetti night or morning cereal. One of the top selling brands at Stowe's is Casafina. 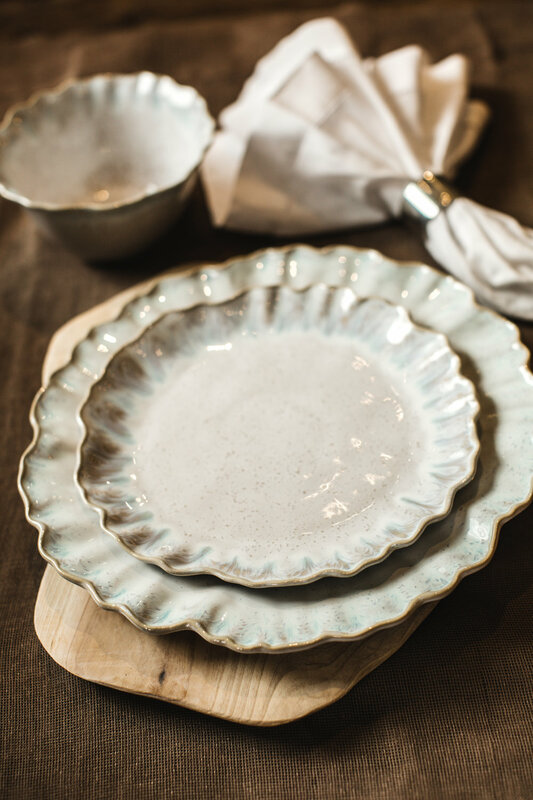 These plates and serving pieces could easily be mistaken for hand made pottery. They are also dishwasher, over and microwave safe, which make them great for every day use. Stowe's Jewelers has been open for 56 years and specializes in custom jewelry design, bridal registry, engraving, and fine jewelry at every price range. Stay tuned for another post on Stowe's Jewelers featuring some of their gorgeous engagement rings and a few helpful tips on picking the perfect engagement ring! Breath in and breath out...ahhh...feeling relaxed yet? Yoga is great for many things. It helps you relax, focus, and strengthens your joints and muscles, which is why we think this popular practice makes a great pre wedding workout. We have partnered with Core Studio owner, Lindsay Rainey, to discuss the benefits of yoga and her special day of wedding yoga session she offers to our clients. First, Yoga gives you a great workout without the feeling of sore muscles, shortness of breath and being drenched in sweat, unless you opt for a hot yoga session. In that case, sweat is an understatement. Next, its a fun activity for a group regardless of everyone’s athleticism. Yoga is a series of stretches and moves that can be altered for each person. Third, it is mindful movement focused. Meaning you are making a mind and body connection and not just burning calories. This process helps to clear your mind and calm your nerves, and who couldn’t use that on their wedding day? You can book Lindsay, or one of her certified Yoga instructors, to come to you at your home or hotel on your wedding day and conduct a 60 minute yoga session. In this class you will focus on breathing, movement, holding poses, and end with a three minute relaxation exercise that includes a eucalyptus soaked towel. You will spend time opening up your hips and pelvis region because as women, that’s where we hold stress. Some great poses Lindsay likes to include in a special wedding session would be lizard, pigeon, and a reclined bridge pose. “After hip openers it is most important to release your spine. If you don’t have a healthy spine, then you really don’t have a healthy body and one of the primary intents of a yoga class is to elongate your spine”, says Lindsay. This is just what you need to prepare you for standing at the altar and dancing the night away at the reception. 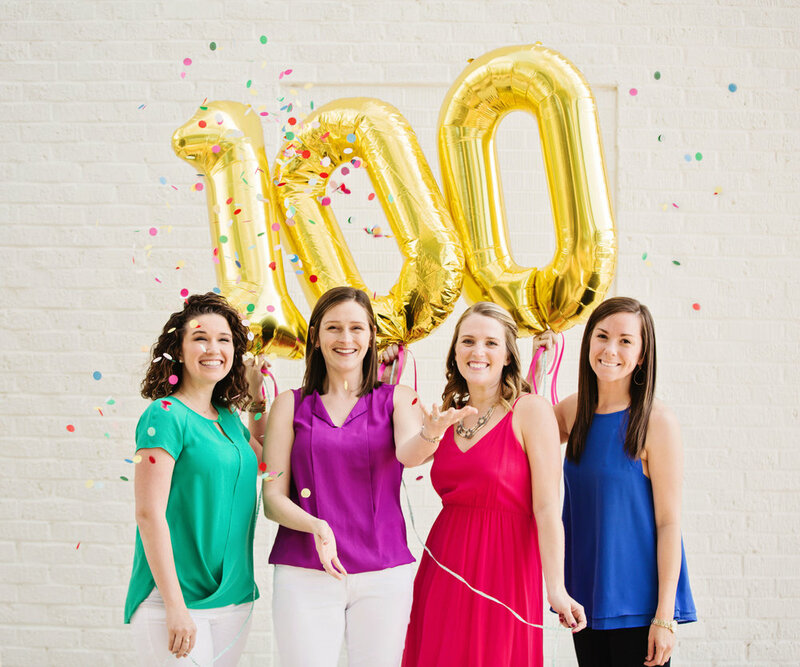 BIOGRAPHY: Lindsay Rainey is RYT 200 certified and the founder of CORE Studio, located in Daphne, Alabama. She has been teaching yoga for over three years and sees the most joy from groups who practice together. She says, “my job as a certified teacher is to find out what works within your body, not to fix a body. Remember you are perfect as you are and sometimes that takes some reminding, which we try and do during all our classes. When I lead a class, I will offer effective sequences and techniques to teach you a new pose, but make sure to cover all the areas of the body from head to toe. It’s the combination of holding poses and moving that creates a therapeutic effect." You can learn more about Core Studio on their website where they have their pricing, membership information and class schedule. Lindsay and her staff would love to have you join their classes or help you relax on your wedding day. 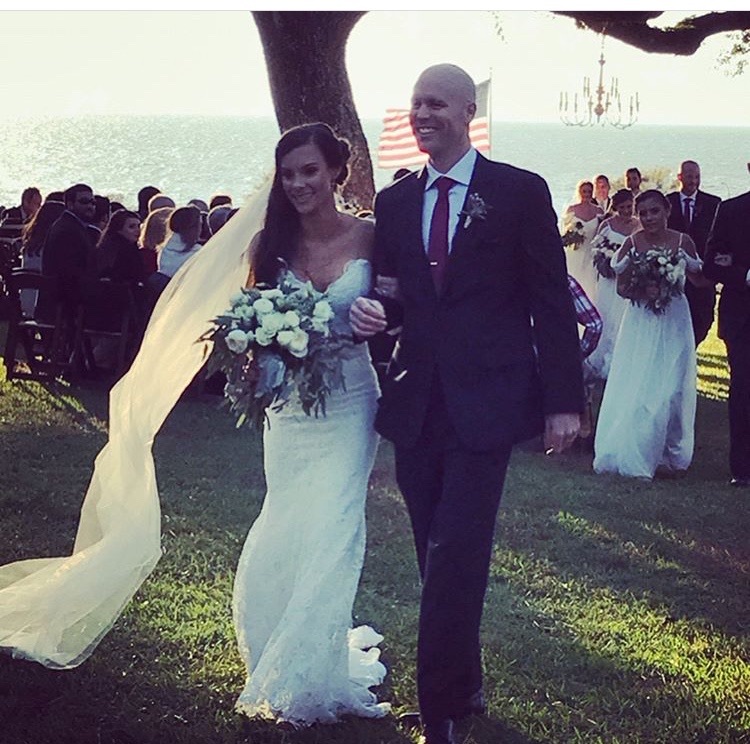 Call Jenna Laine Weddings, LLC today to find out how we can help you coordinate a perfect wedding and your wedding day yoga session! 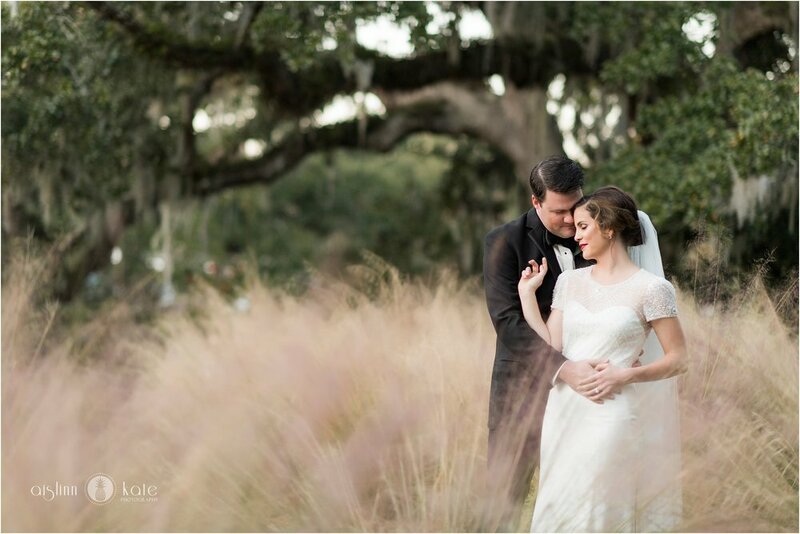 2017 was a great year at Jenna Laine Weddings, LLC. We had so many exciting things take place this year where do we even begin? 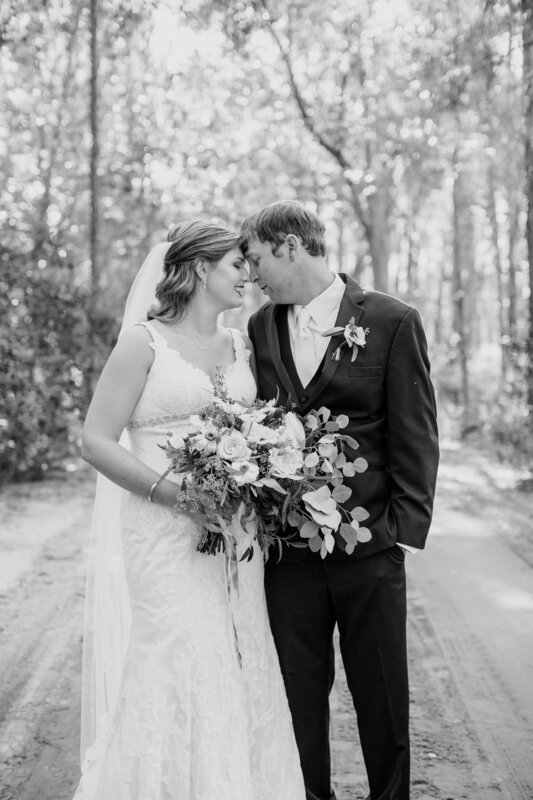 Lets start with the amazing brides and grooms we had the chance to work with. We did a total of 49 events, which is our best year yet and we loved getting to know each and every one of you. We also celebrated our 100th wedding back in February. The purchase of our new planning studio in July. Five years of business in November and we welcomed a few new faces to our team! Here's a little glimpse into all the fun we had! This year we celebrated our 100th wedding. Our first year in business five years ago we did 8 weddings, the following year 15, and this year we did 49! We are so thankful for this growth and can not wait to see what happens in the years to come! Hopefully we will be celebrating our 200th wedding in 2018 or early 2019! Thank you to all of our friends, family, and vendors for your love and support throughout this year. 2018 is shaping up to be just as amazing and we can not wait to see how it unfolds! Keeping up with the ever revolving door of wedding trends is no easy task. 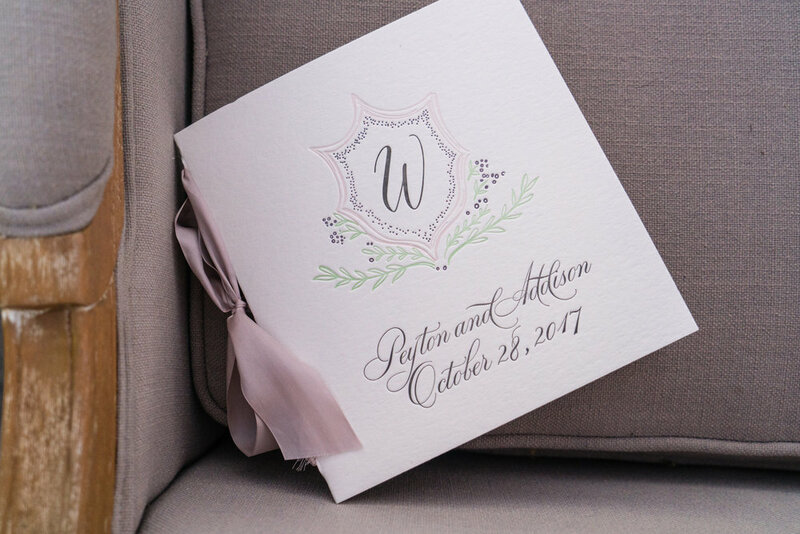 The check list of "to do's" not only include flowers, rentals, lighting, and invitations, but it also includes coming up with a unique brand for your wedding. 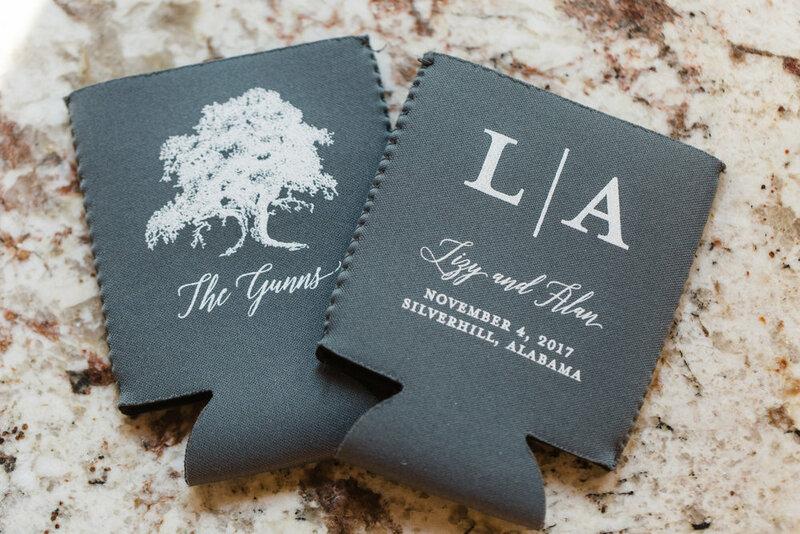 This can include a catchy #, flashy filter or custom logo printed on everything from invitations, koozies, match boxes and drink stirrers. Snapchat GeoFilters: are fun overlays that you can add to your snapchat. Its a unique way for your guest to share where they are and what they are doing. They can be made up of the bride and groom's names, the date, a graphic or an Instagram #. Its a great place to incorporate a custom monogram to tie all your wedding accessories together. 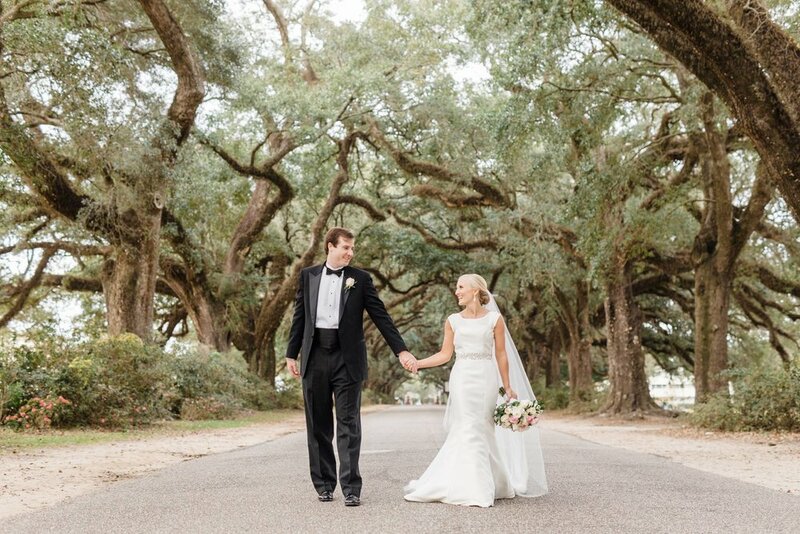 Coming up with a clever hashtag is no easy task, so here are a few helpful tips from The Knot. 1) Start with your names: This may seem like a no brainer, but its a helpful starting point. Use your first, last and nicknames as a starter and then 'mash' them up. Think brangelina and bennifer. It may seem like a basic # , but it is helpful if guest can easily remember it when they go to instagram a cute photo. 2)Use numbers to help your hashtag stand out. For instance #jackandjill is probably a pretty common hashtag around the world so add your zip code or favorite numbers to the end to make it unique. 3)Get Punny: This is one part of your wedding you can really have fun with, especially when it comes to word play. Look for alliterations, rhymes, synonyms and puns for a hashtag that's both clever and memorable. A great way to personalize and brand you wedding is by creating a unique crest or monogram. You can introduce this design at the very start by placing it on your save the dates and then carrying it out on your invitations, koozies, cups, and even pillows and coffee stirrers. Below are a few examples from a recent wedding. Branding your wedding can be really fun and will help set your wedding apart from all your friends. 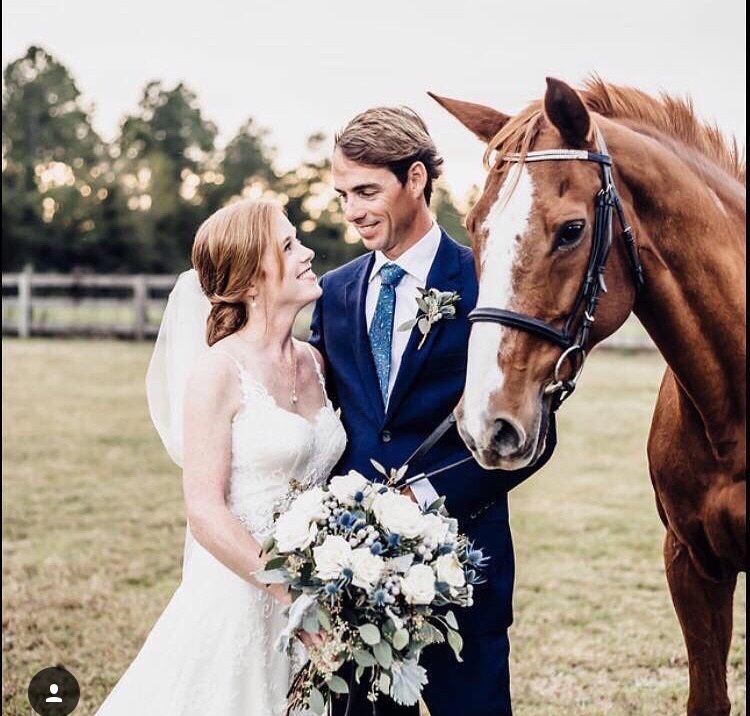 Here at Jenna Laine Weddings, LLC, we not only help you come up with a unique wedding style, we can also help you to create a custom logo, GeoFilter, napkins, koozies, invitations and other wedding accessories right here in our office. So make an appointment today to get started!! One of the first steps every newly, married couple faces is the purchase of their first home together. With this big purchase comes many questions. To help sort through some of those questions and the purchasing process I sat down with Realtor Kersten Bowman of Livin' Right Real Estate. Kersten is a licensed Realtor in both Florida and Alabama. 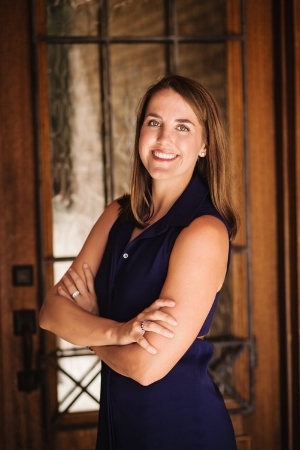 She specializes in Residential Real Estate and is one of the top selling agents along Florida's Emerald Coast. She is currently expanding her footprint into Alabama and hopes to find equal success along the Gulf Coast. How do we know we are ready to buy a house? You married the person of your dreams and you are ready to start a life together. To buy a home, or not to buy a home is the next question that often comes to many young newlywed's minds. My initial response to any first time home buyer is, "How long will you be in the area?" For tax purposes, it is beneficial to own a primary residence for a minimum of two years. If this fits into your timeline, take the plunge! Real estate, more times than not, is one of the most secure financial investment options. Once we decide to we are ready to buy a home, what's next? Once you decide to purchase a home, your next step will be to find a lender and review your finances. Feel free to shop around for a lender you feel comfortable with (Aim to discuss your options with 1-3 loan officers before making your decision). A lender will be involved in your real estate transaction just as much, if not more, than your Realtor. Find a lender that thoroughly explains the lending process to you, is easily accessible (not only from 9:00AM- 5:00PM ) and has competitive mortgage interest rates. I personally suggest using a local lender, however many lenders are licensed in all states and can work with you from a distance. How do we find a Realtor and how do we know the Realtor is a good fit for us? The best way to find a Realtor is through referral! If you do not have any referrals in the state you will be located in, ask a friend or family member if they have a Realtor that can help you locate an agent in that specific area. You want a Realtor that works with you AND for you. Find a Realtor that thoroughly explains the buying process, answers your phone calls or promptly returns your phone calls, and knows the market area well. To keep it simple, have him/her explain to you their duties and you explain to him/her your expectations before beginning a working relationship. Your lender will pre-approve you for a loan and begin communication with your Realtor if they have not already done so. This will help you decide on a budget according to the monthly payment you can afford. Once you have decided your budget, talk with your spouse about a wish list. You may want to visit a few open houses to get a realistic feel for what your budget can buy in your area. Please note, that if you are working with a Realtor during this time, it is polite to inform all parties of this fact while shopping. Once you have your wish list, begin working with your Realtor. He or she will help continue your search, make appointments to view the homes that are convenient with your schedule, and advise you on how to and when to make an offer on the home you choose. NEVER feel pressured to sign a contract. Review and understand all of the terms. Do not hesitate to ask your Realtor any questions during this time. Once both parties have agreed to the terms and the contract has been fully executed, escrow begins. A typical closing involving a loan can take 30-45 days. How much should we be prepared to put down on a house? Depending on the type of loan you qualify for will determine how much money you are required to put down on a home. Some loans, such as a VA Loan, require 0% down. Other loans can require up to 20% down. A licensed lender can help you further answer any financial questions. One thing to note is the earnest money deposit, often referred to as Trust Money or an EMD. This is required to be put down on a home within three to five business days once the contract has been fully executed. This amount can be negotiated, however it is typically 1% of the purchase price of the home. It will be held by the Title Company in an Escrow Account. If you have more questions about purchasing a home or are in need of a Realtor you can contact Kersten for information or referrals. She would love to help you start your new life together in a new home! If you have been following along with us for the past few weeks and have concluded that while our services are wonderful, they don't exactly meet your needs, we've got good news for you. Our À La Carte menu offers a way to completely customize your service. We have the ability to price out and add to any package at any time. If you are choosing the Partial Package but also want us to help out with the Rehearsal Dinner and the Bridesmaid's Luncheon, we can! Maybe you want us to take care of designing and assembling your welcome boxes or need to add on vendor assistance that is outside your package description, absolutely doable!! We want our brides to be able to fully relax and enjoy the planning process for this important season of your life. We are willing to be as involved as you need and want to help in the way you need it. Sometimes you may not even know what help you need until you're right up on it and get overwhelmed, no worries, we can step in and add services at any time! Aside from additional wedding coverages we also offer our custom wedding paper suites as an add on. If you want to create all or part of your wedding stationary with us we can help with that. Our graphic designer can even work with you to design a custom logo to be used throughout your wedding design. We also have a select portion of retail items such as customizable guest books, garters, toasting flutes and other wedding accessories. Let us start customizing a package for you today!